How do the bodies we inhabit affect our relationship with art? How does art affect our relationship to our bodies? T Fleischmann uses Felix Gonz les-Torres's artworks--piles of candy, stacks of paper, puzzles--as a path through questions of love and loss, violence and rejuvenation, gender and sexuality. From the back porches of Buffalo, to the galleries of New York and L.A., to farmhouses of rural Tennessee, the artworks act as still points, sites for reflection situated in lived experience. 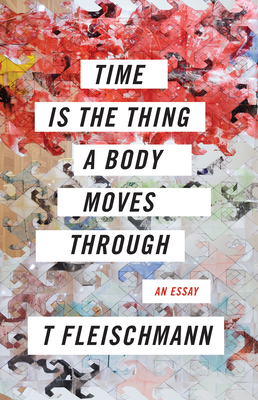 Fleischmann combines serious engagement with warmth and clarity of prose, reveling in the experiences and pleasures of art and the body, identity and community. T Fleischmann is the author of Syzygy, Beauty (Sarabande) and the curator of Body Forms: Queerness and the Essay (Essay Press). A nonfiction editor at DIAGRAM and contributing editor at the blog Essay Daily, they have published critical and creative work in journals such as the Los Angeles Review of Books, Fourth Genre, Gulf Coast, and others, as well in the anthologies Bending Genre, How We Speak to One Another, Little Boxes, and Feminisms in Motion.